Spring is one of my favorite times of the year. The winter has passed, fresh vegetables are growing in the garden and the longer days seem to bring with them a certain sense of optimism. 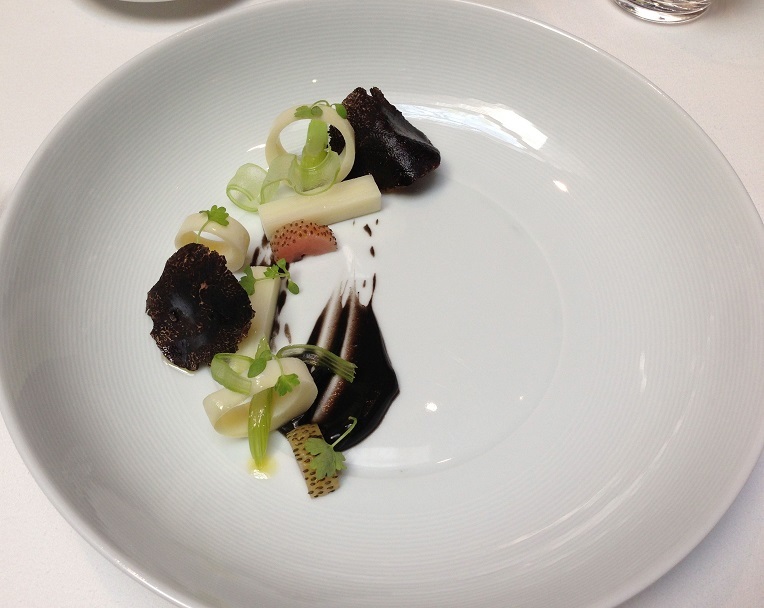 This recent lunch at The French Laundry captured so many of those elements. Course after course of gorgeous, beautifully prepared and presented dishes graced our table for the four-plus hours we spent in the dining room. 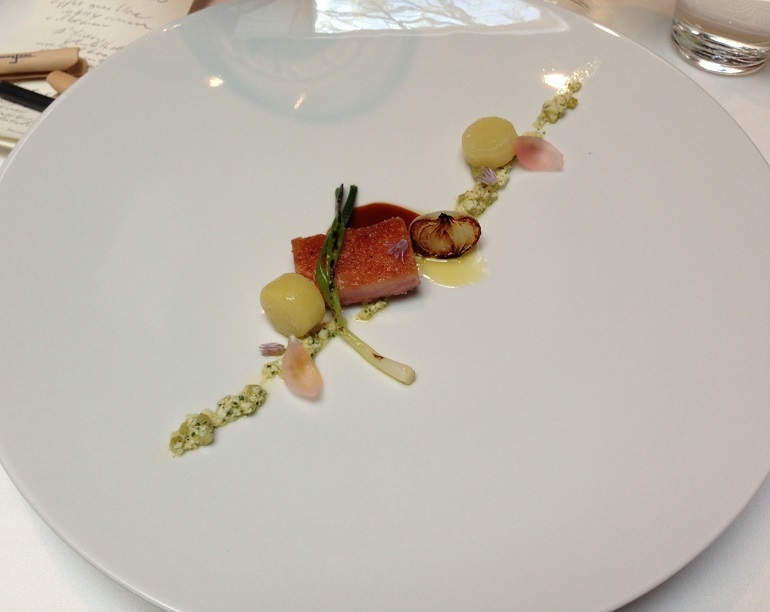 Chef/Owner Thomas Keller and his staff were on their game. I wouldn't even know where to start with this dazzling menu. Highlights? There were many. 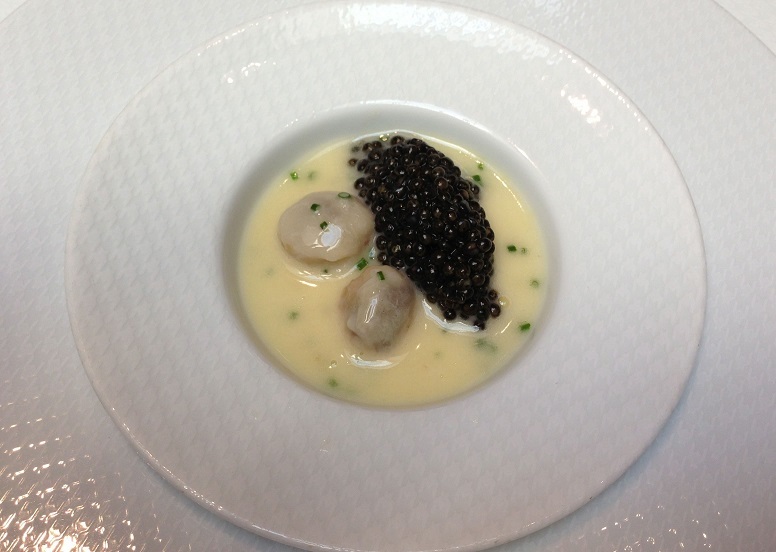 The “Oysters and Pearls”, a signature dish, was flat-out great. Oysters, caviar and Champagne. What’s not to like? 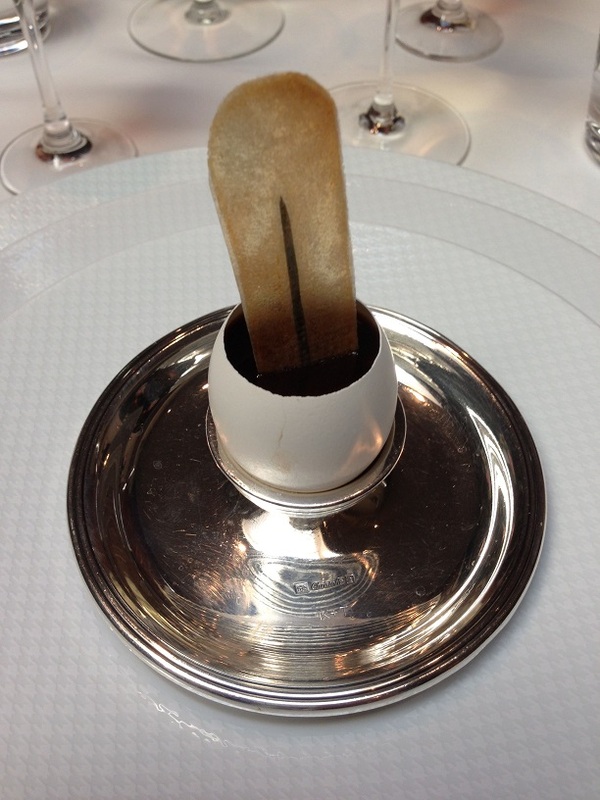 The hen egg custard, served out of an eggshell with a ragoût of Périgord truffles, was to die for. What a fabulous combination of flavors and textures. 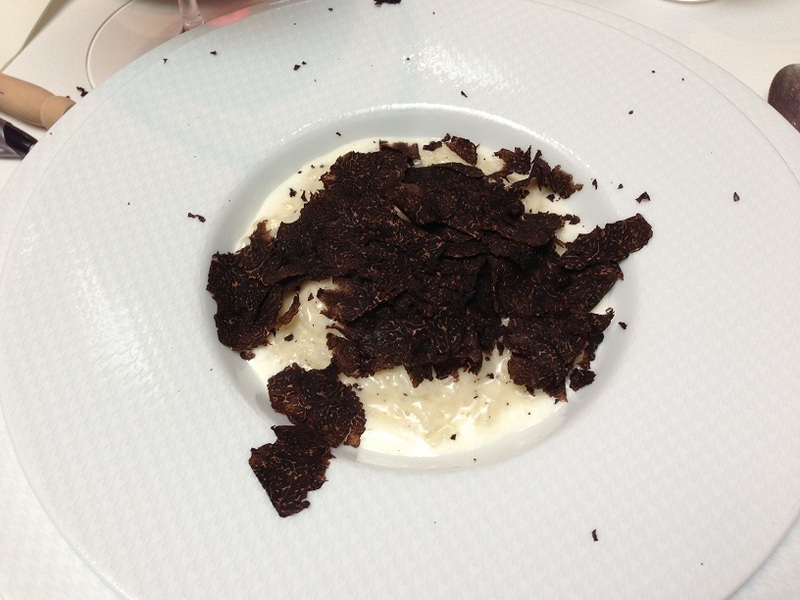 A perfectly cooked Carnaroli risotto seemed to simply be an excuse to eat more truffles. We weren’t about to argue. As sublime as the truffles were, the risotto was also cooked perfectly al dente, something that is much harder to do than it seems. 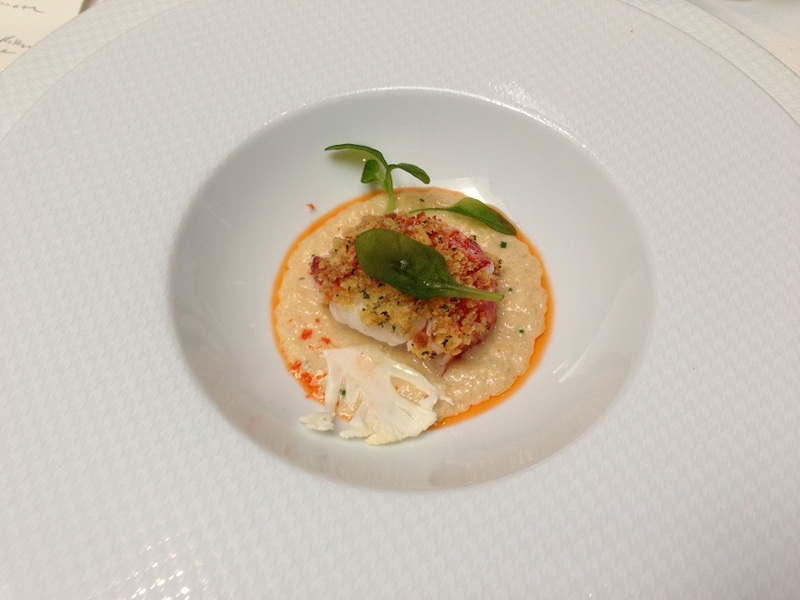 Part of Thomas Keller’s philosophy is to leave guests wanting just a little more of each dish. That was certainly the case here. We could have easily had a second portion of the risotto. It was superb. The salt-baked Elysian Fields Farm lamb was another highlight and a perfect spring dish punctuated with bright flavors. I loved our cheese course, St. Vernier with rhubarb, fennel and Sicilian pistachios. The cheese course can so often be hastily put together, here it was an impeccably conceived and executed dish totally bursting with flavor. I am not a huge dessert fan, so the three sweet courses was a bit much for me, but everything was impeccable. Dennis Kelly, MS oversees an extensive list that will satisfy any palate. I suggest spending some time with the list (available online) ahead of time. Once the food starts arriving, it is hard to go through page after page on the Laundry’s iPad list. A good strategy is to pick a white and a red, and then use the by the glass selections to add a little more variety. Krug’s MV Grande Cuvée was a nice way to settle in to this lunch. Aromatic and bright, but not at all heavy, the 2010 Pinot Gris Cuvée Ste. Catherine from Domaine Weinbach was gorgeous with some of our early courses. I adore Alsatian whites, but sadly I don’t get to drink them as often as I would like. D’Oliveira’s 1973 Verdelho Riserva was an inspired match to the hen egg custard. The richness of the wine, much of which comes from its aging, paired beautifully with the silkiness of the Périgord truffle ragout. Today it is easy to forget that Madeira was once served at the dinner table, rather than after the meal, as is now much more common. The 2010 Billaud-Simon Chablis Montée de Tonnerre showed all of the best qualities of this great Chablis vintage. The combination of bright, piercing acidity and the power of the year married perfectly in the glass, but also with the cuisine. The precision of Thomas Keller’s food really works well with Chablis, and the 2010 Montée de Tonnerre was absolutely stellar with a number of the courses on this menu. I was thrilled to find Lafon’s 2009 Volnay Santenots on the list. One of my frustrations is that I have the opportunity to taste so many spectacular wines all over the world, but Marzia only tastes a small fraction of those wines. As soon as I saw the Lafon, I sensed it would be the prefect wine for this menu. The 2009 Santenots has always been dazzling. It was great from barrel, equally thrilling from bottle, and superb at this lunch. 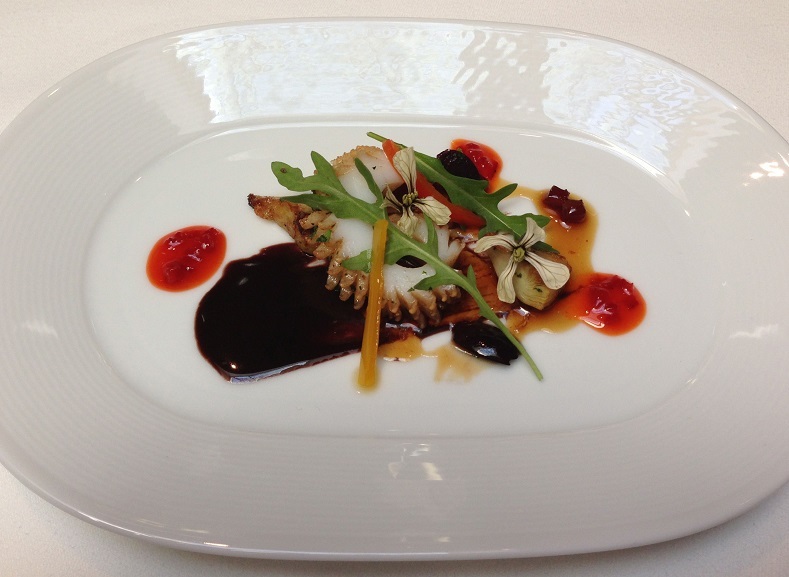 The French Laundry’s menu isn’t as easy to pair with wine as one might think. A Napa Valley Cabernet would almost certainly overpower many, if not most, of these subtle dishes, but red Burgundy from a ripe generous vintage is a great match. 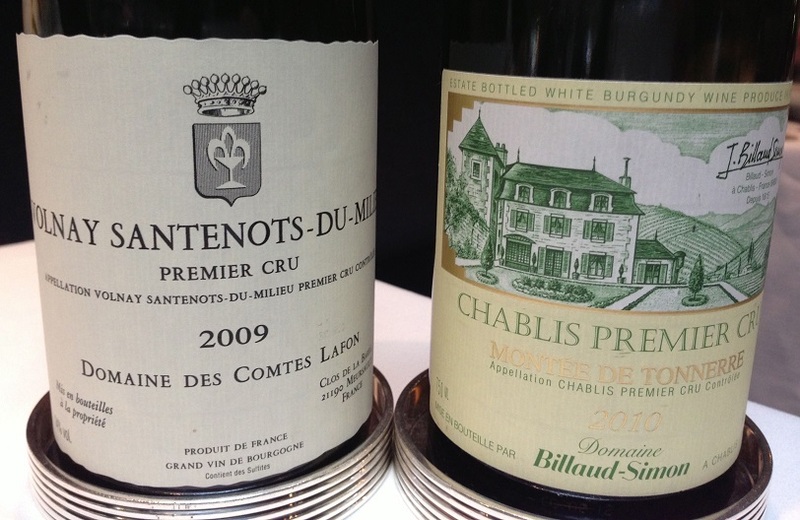 The 2009 Santenots was captivating from the first taste. 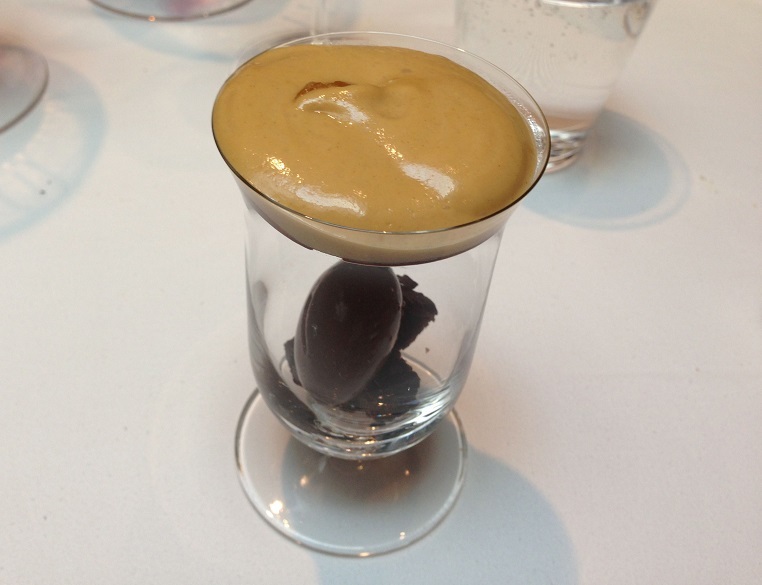 Sensual, layered and impeccably balanced, it was flat-out stunning on its own and with the food. After lunch we had a chance to visit the kitchen and spend some time with Thomas Keller. Despite all the acclaim Keller has received over the last few decades, he remains humble and down to earth. You can sense his exacting standards and the discipline he demands from his staff with every word. There is no wasted motion. Everything has meaning. 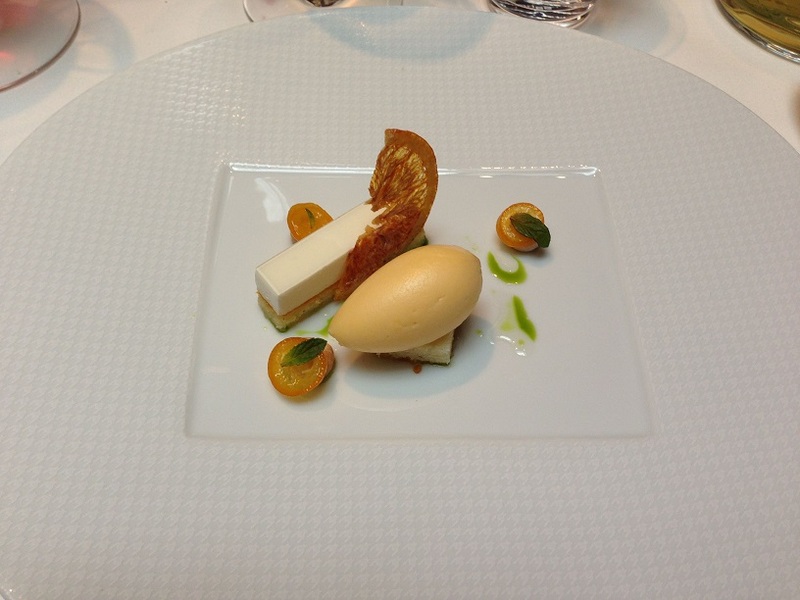 But it is that attention to detail that places The French Laundry among the world’s great restaurants. 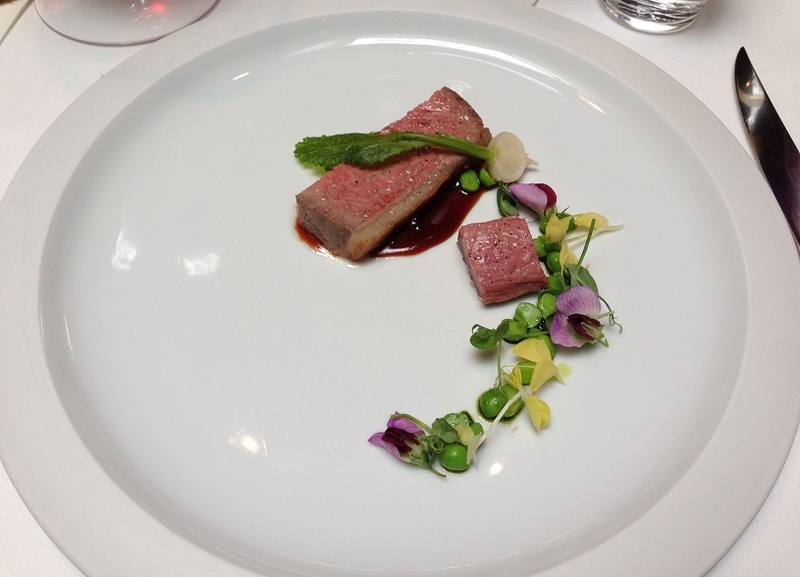 For most of us, The French Laundry is limited to special events. It is an expensive day, but well worth it. At this level, lunch (or dinner) is not just about eating, it is about something more; culture, discovery, pleasure and, hopefully, emotion.